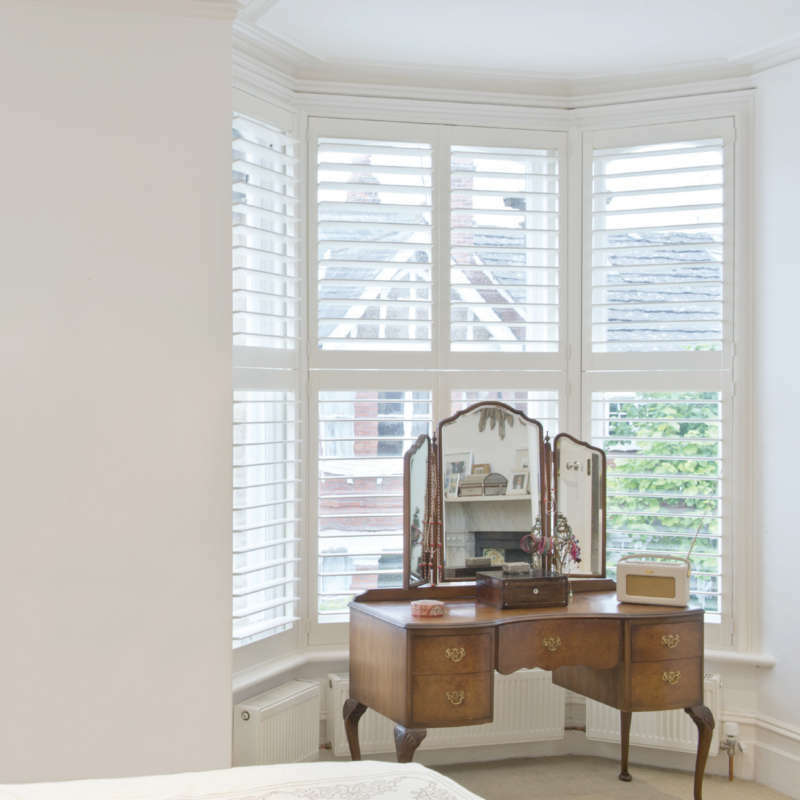 ﻿ Bay Window Shutters Winchester & Basingstoke… | The Great Shutter Co.
Bay windows shutters are one of the most striking features of period homes. Where these homes are street facing shutters are ideal as no other window covering offers such control over privacy or light. 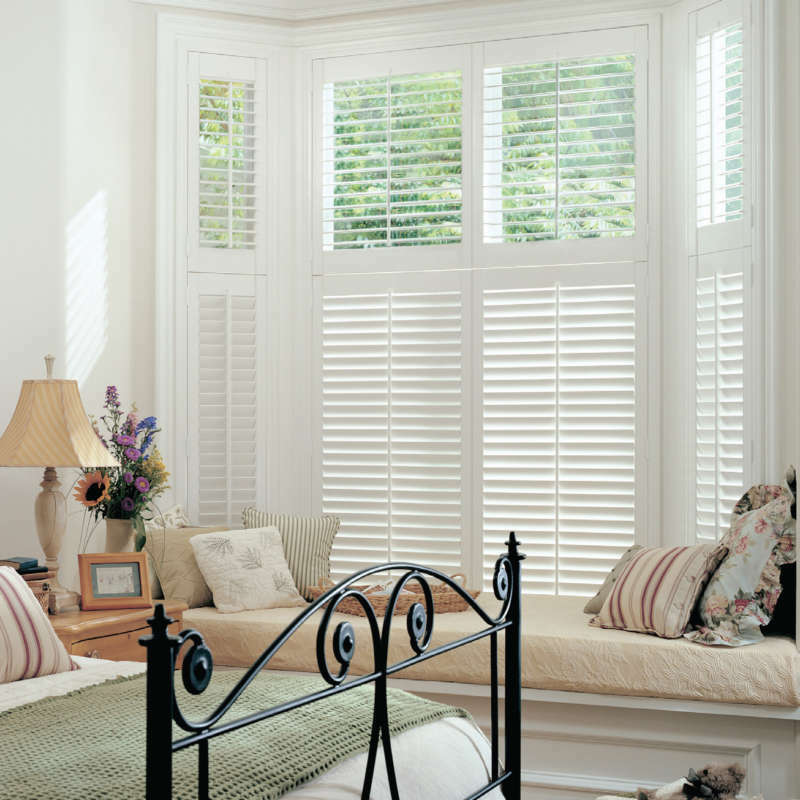 The fact that the shutters follow the lines of the bay will make your room look more open and spacious. Designing your shutters to complement the multiple sections that make up your bay is critical to achieving a harmonious look. 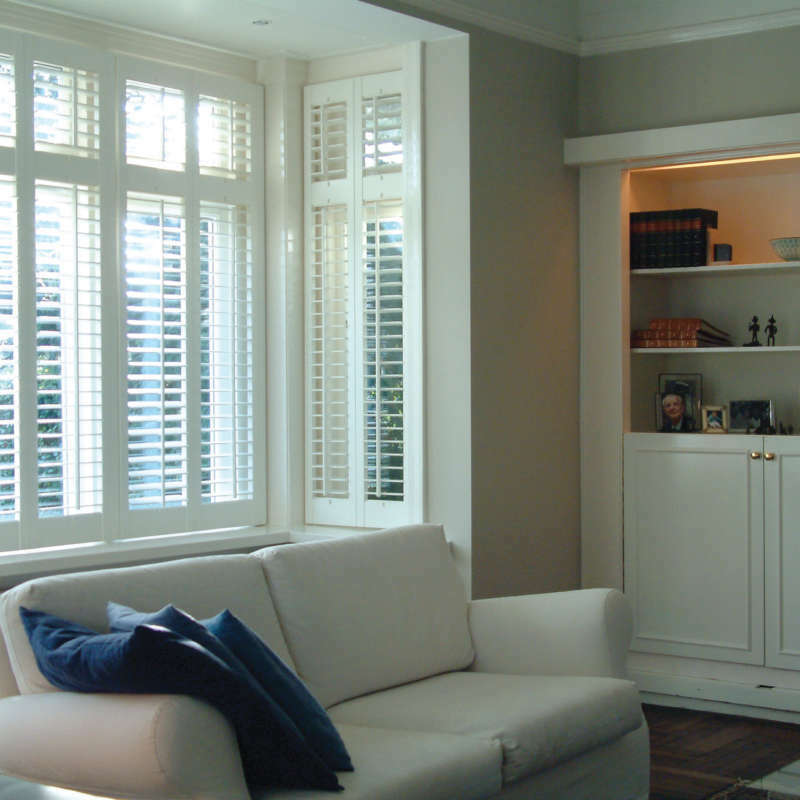 In general there are two types of bay window shutters - the splay bay and the box bay (also known as 90 degree bay or square bay) and both can be enhanced by adding plantation shutters. A standard 3 part splay bay normally has angles of 135 degrees on the bay posts, but should always be measured by the surveyor, because even one degree out can result in the shutters and frame not meeting the end of the two side windows correctly. 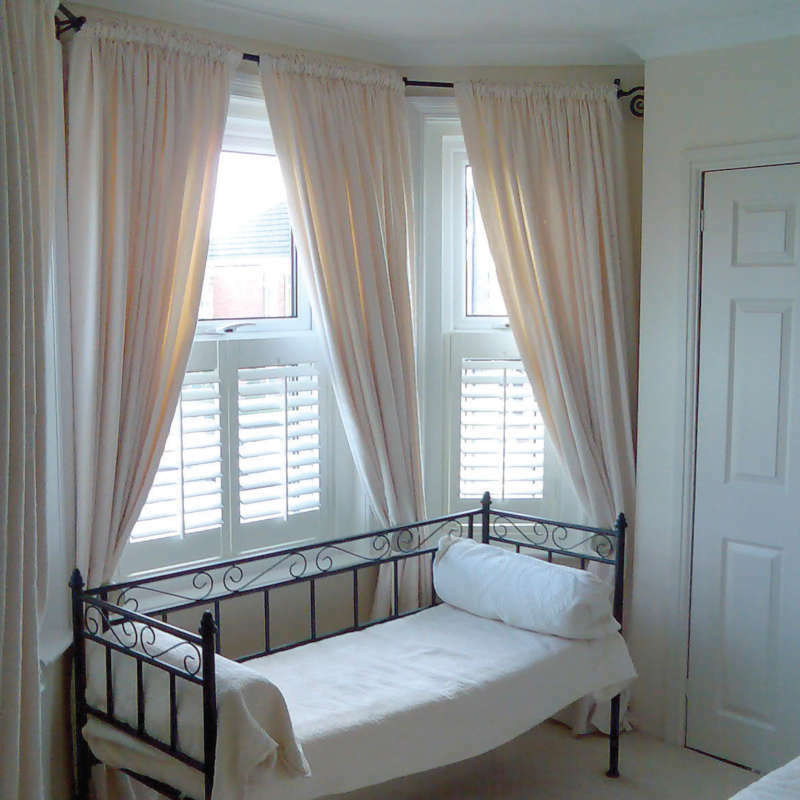 To get the best out of your bay window it should be treated holistically as a single shutter install. This means replicating the lines of the bay and manufacturing a made to measure frame with bay posts that marry up with whole of your window. Many companies are uncomfortable with splay bays plantation shutters because they can be tricky and so, provide a solution where they treat each window section as an individual shutter set. 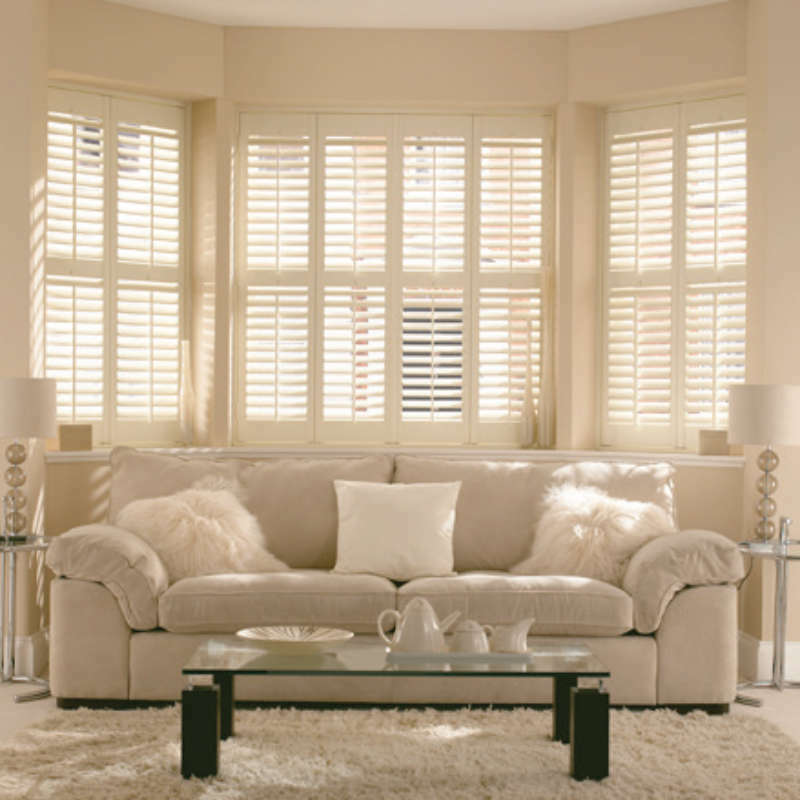 In some cases individual sets may be appropriate, but that should be due to the technicalities of the window or your choice, rather than the preference of the shutter company supplying the shutters. The original design of your box bay will determine the best box bay shutter solution for your window. In many cases, such as UPVC windows for example, the use of corner posts would provide the best look while where the window has been designed with architectural posts (as shown here on the left) separates internal bay window shutters would be the best solution. Whichever bay window type you may have it is crucial that your shutters don’t just look great from the inside but that the statement made from the outside is just as appealing. Finally it should be noted that with bay windows you cannot fold the shutters from the central window against the wall. If you are looking to open the central shutters out of the window recess then these will protrude into the room. 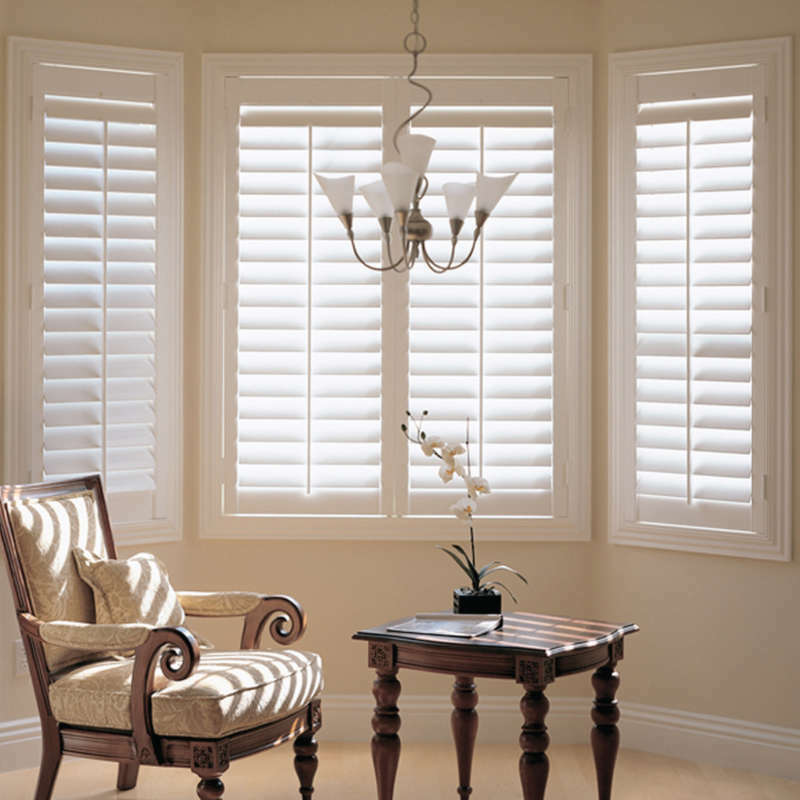 The fact is that in general shutters stay shut and that you control light and privacy simply by operating the louvres. Talk to us and we can provide guidance on the best solution for your bay window.